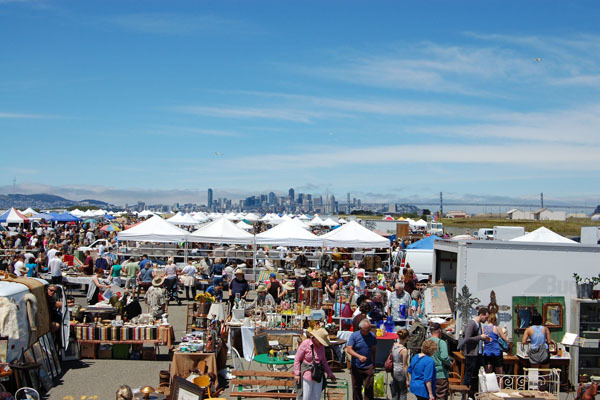 The Alameda Point Antiques Faire in Alameda, California, with the San Francisco skyline in the background (Photo via alamedapointantiquesfaire.com). 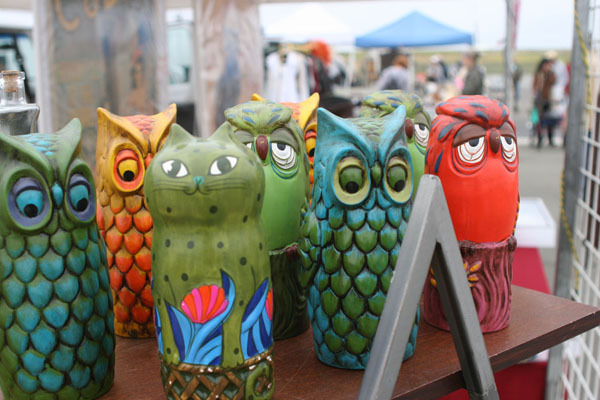 Deals are waiting to be struck at the Alameda Point Antiques Faire. Intrepid shoppers know they’re guaranteed to score some great pieces at a great price, especially compared with department store retail prices. With so many styles of furniture to choose from, “We get a lot of decorators, designers, antique shop owners and people wanting to decorate,” says Sandra, who often finds herself bargain shopping the booths for paintings, art prints, curtain tiebacks, tassels, trim and other textiles from around the world, as well as scraps of vintage lace for customizing her clothing. “It’s great for gifts,” she adds, and she especially loves browsing the jewelry section for costume accessories or quality pieces for $5 or $10. “You can come with a little bit of cash and come out with a lot of great items.” Just be ready to walk and ready to haggle—it’s all part of the fun. When there are 900 booths to check out, you’ve got a lot of ground to cover. Here are Sandra’s tips for strategizing your trip and nabbing the best deals. 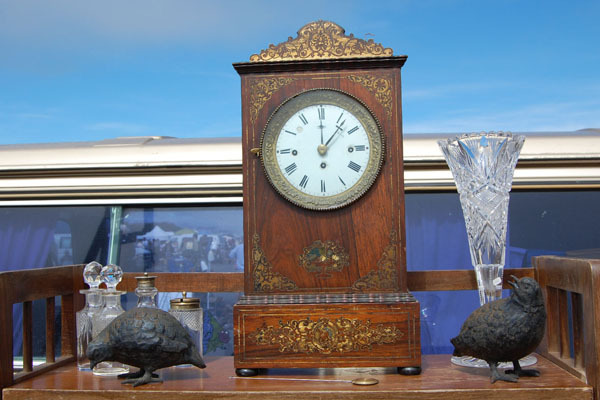 This entry was posted in Hot Collectibles and tagged alameda point antiques fair, Collectibles, flea market, shopping tips, vintage collectibles, vintage shopping tips by Flea Market Decor. Bookmark the permalink.